Some of the advantages of coming to some of the events we have here at Almaden Valley Athletic Club are significant and some are subtle. Significant changes can be seen in helping keep in check diabetes, high blood pressure or cholesterol. We may see changes in our endurance level, maintaining our weight or our flexibility. But subtle changes are not as visible. One of the subtle advantages is making friendships with people we might not have known. It is my privilege to know members who help create memories beyond the normal. One of those memories I will cherish is the impromptu event held by Elspeth Thomson this past week. 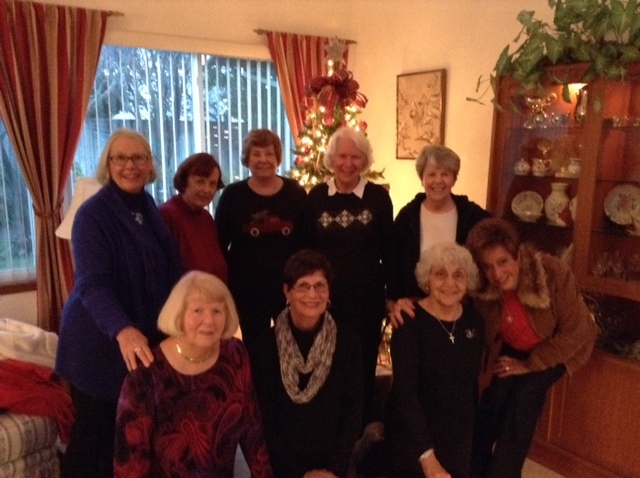 Elspeth invited members of the “Just Enough” class to her home to celebrate a bit of holiday cheer. Her home was beautifully decorated, she served wonderful appetizers and had soft holiday music in the background. It isn’t rare to find these moments with members of AVAC. Many of our classes regularly get together whether calendared or not. These are the times that make for memories and forever friendships. Being social is one of the main concepts of fitness that will leave us with a great attitude, stimulate our brain and give us a sense of belonging. It is my hope that you will have a new year filled with more of these gatherings and memories.